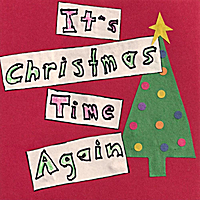 A Bluegrass and Acoustic Christmas music album, featuring Troy Engle on vocals, and over 12 different instruments. A few new original tunes, some great arrangements of Christmas classics, and a few Bluegrass Christmas standards thrown in for good measure! Troy Engle is musician, singer, writer, and composer living in Nashville, TN. Troy is playing all of the instruments on the album (Guitar, Mandolin, Banjo, Dobro, Upright Bass, Fiddle, Viola, Mandocello, Ukulele, and Octave mandolin), as well as doing all of the lead and harmony singing! He also wrote two new songs for the album, "It's Christmas Time Again" and "Salvation Was Born". Troy has played and or recorded with Patty Loveless, Buddy Jewell, Tom T. Hall, The Isaacs, and many other bluegrass, country and gospel artists.